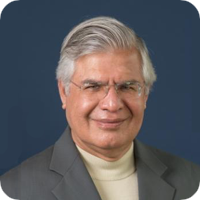 Professor Karnani's interests are focused on three topics: strategies for growth, global competition, and the role of business in society. He studies how firms can leverage existing competitive advantages and create new ones to achieve rapid growth. He is interested in global competition, particularly in the context of emerging economies. Aneel Karnani has 11 products available, viewing 1-10.